Pannage season starts in September and usually lasts 60 days. The pannage season has officially started. 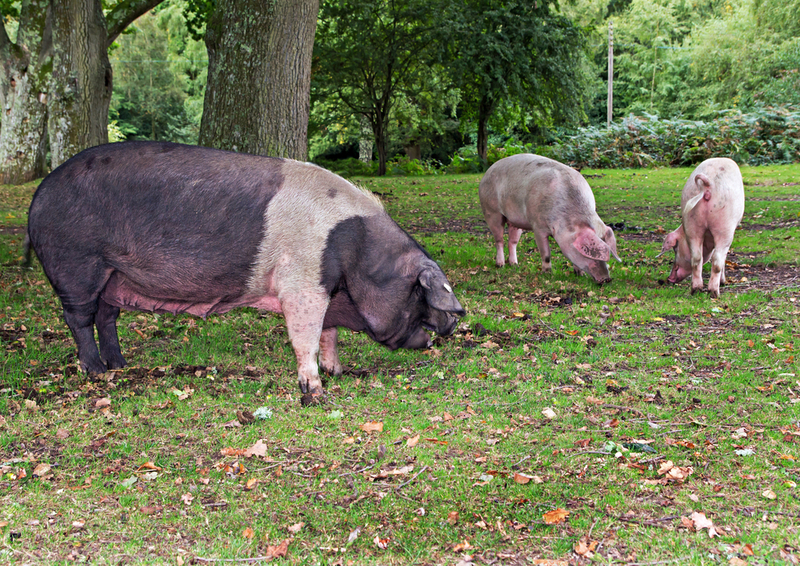 Residents and visitors may be lucky enough to see the traditional sight of free-roaming pigs foraging on the forest floor from now until November. The term ‘pannage’ is of late Middle English origin and is derived from the Old French word ‘pasnage’, which was brought to England by the conquering Normans, and basically means ‘pasturing’ or ‘to feed’. When the New Forest was first established as a royal hunting venue priority was given to protecting the ‘venison and vert’, in other words the deer and the foliage and vegetation they depended upon for food and shelter. During the autumn many trees, including oak, horse chestnut, sweet chestnut and beech, will cast their seeds in the form of acorns, conkers, chestnuts, and beech mast. However, green acorns are poisonous to deer and so commoners were traditionally given a period of sixty days starting in September when they could turn out their pigs to eat the acorns. The pigs, which do not seem to be affected by the toxins, would scoff the acorns thus reducing the risk to the deer and, in the process, get fattened up for the winter. But deer are not the only animals to suffer the effects of acorn poisoning; ponies and cattle are also unable to tolerate the high levels of tannins in the seeds, often with fatal consequences. Releasing pigs to feast on fallen acorns also protects the commonable animals too. Last year the pannage season was extended twice to enable the free-roaming pigs to hoover up on the Forest. A combination of a ‘mast year’, which is used to describe a bumper crop during the seed harvest, and strong winds, meant that there were more fallen acorns than the pigs could eat in the two month allowance period. The Forestry Commission, in consultation with the Verderers of the New Forest, set the extended dates. Those commoners with ‘Common of Mast’, who are permitted to turn out their domestic pigs during pannage season, were therefore encouraged to keep their pigs out on the Forest for longer. Generally speaking the pigs are a welcome addition to the stock of free-roaming animals on the New Forest. However, householders in the areas where the pigs are loosed have the responsibility of making sure that their gates, fences and hedges are pig-proof! Barriers that prevent wandering ponies and cattle from invading lawns and gardens will not necessarily keep out a hungry hog. A garden that has been raided by a herd of swine will look a very sorry sight indeed! It is also a general rule (which actually applies to all Forest animals) that no matter how tame they seem or how cute they look do not try to pet or feed them, especially if they have young! There are many stories of people who have fallen foul of a porcine temper tantrum or been chased by an angry pig when the titbits they’ve been fed run out or when someone has tried to stroke their pigglets! Acorns, the seed of the oak tree, are poisonous to deer, cattle and ponies. 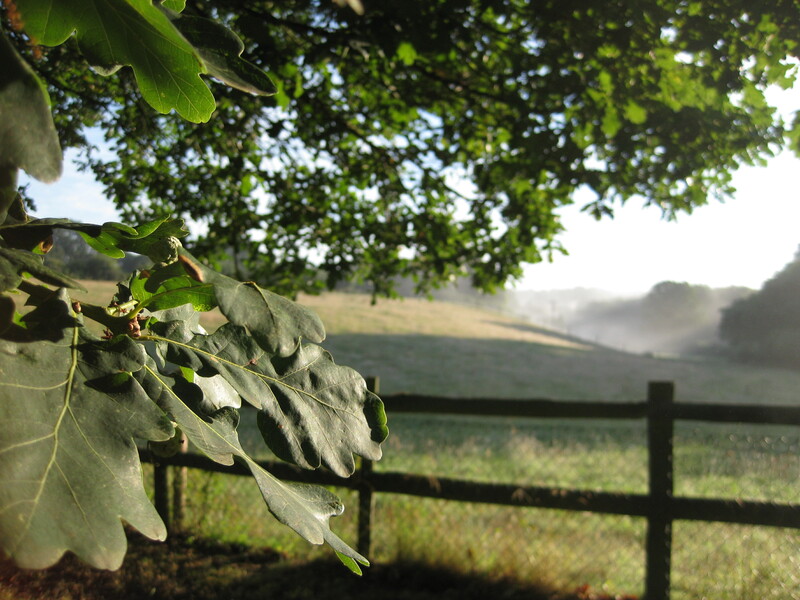 This entry was posted in New Forest, New Forest Commoner, Pannage season and tagged acorns, Agisters, Common of Mast, New forest, New Forest pony, Pannage, passage, pig, porcine, swine, tannins, Verderers. Bookmark the permalink.